The 2019 Seminar is Over! See you in February of 2021! 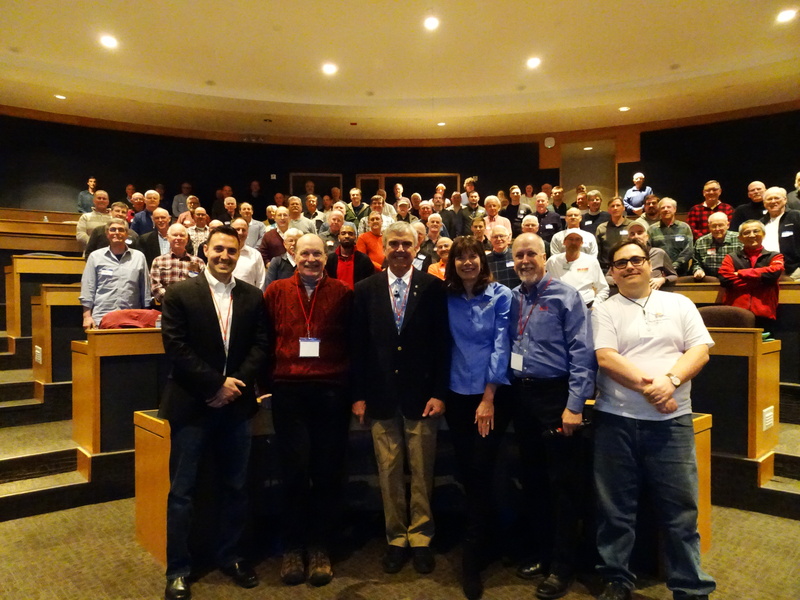 The ChicagoLand Glider Council (CLGC) is hosting their 9th Mid-America Soaring and Safety Seminar on Saturday, February 23rd, 2019 from 8AM to 5PM in the beautiful business center auditorium on the Elgin Community College campus located outside of Chicago. The Seminar hosts nationally known speakers covering topics of safety, competition, gear and gliders. We host this Seminar every two years, on the odd numbered years, which is opposite the bi-annual SSA Convention which is hosted on the even numbered years. Get FAA Safety WINGS credit! The registration fee for the seminar is partially underwritten by the dues paid by the CLGC members (Chicago Glider Club, Sky Soaring Glider Club, Windy City Soaring Association and others) in an effort to keep costs down and the registration fees as resonable as possible, and to help more pilots to attend. The CLGC's goal is just to break even for this Seminar! New for 2019 - A youth registration fee discount of $15. A continental breakfast, a full lunch and afternoon refreshments are provided. An optional "Dutch Treat" dinner is planned (limited seating). Again, this year, the CLGC is hosting a "Fly (Flea) Market" so you can bring aviation related items to sell. Our History - The ChicagoLand Glider Council is a non-profit organization of over 200 members which was formed in 1937 and has a long history of dedication to the advancement and safety of soaring flight. The Council hosts off-season (October through April) meetings with scheduled speakers at a local venue. The Council also provides youth grants and helps underwrite local soaring events. Jim Payne - Chief Test Pilot of the Perlan II Glider in Argentina as part of the Perlan Project. Day-of registrations are still available. See You There! 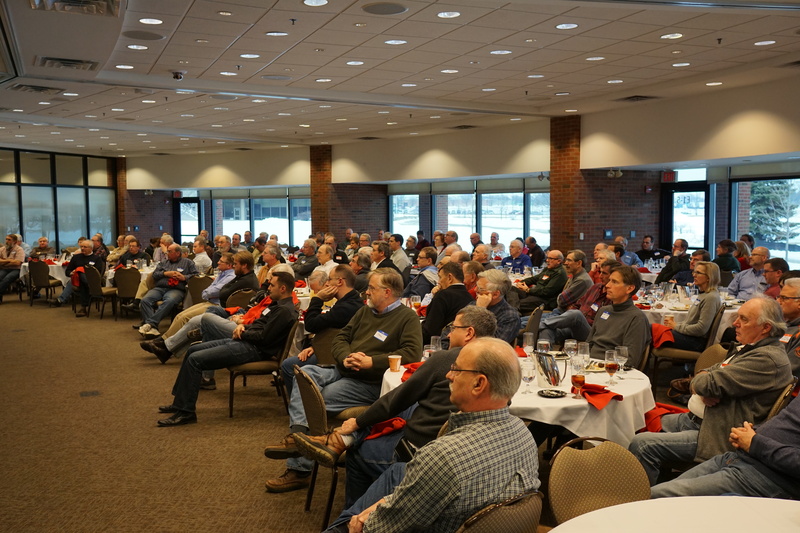 The registration fee for the seminar is partially underwritten by the dues paid by the CLGC members (Chicago Glider Club, Sky Soaring Glider Club, Windy City Soaring Association and others) in an effort to keep costs down and the registration fees as resonable as possible to help more pilots to attend. The CLGC's goal is simply to break even for this Seminar. The fee schedule is shown below. These fees include a continental breakfast buffet, full lunch, and afternoon refreshments. There is also an optional Dutch Treat Dinner available in the evening. Non-member cost will include a free one year membership in the ChicagoLand Glider Council which entitles you to attend Council functions and receive our monthly newsletter. Please send in your registrations as early as possible so that we can get an accurate headcount! Doing so helps to keep our costs down. Postmark your registration before the deadline* and avoid the late registration fee! Registration is limited to 200 participants on a first come, first served basis. Registration can be sent via surface mail to the address on the form or are accepted at the door ($5 late registration fee applies). Please fill out the early registration form (link above) and return as quickly as possible so that we can get an accurate head count. to the address indicated on the form. Include your payment via check or money order (only) payable to ChicagoLand Glider Council. Cash will be accepted at the door. Sorry no electronic payment means can be accepted at this time. Please complete and returned the registration form as early as possible Thank you! The 10% early registration (postmark) discount deadline is February 9th - This will allow the ChicagoLand Glider Council the necessary time to help accurately confirm our headcount with the venue, lower your costs, to email a registration confirmation to you. A dinner with the speakers is scheduled for 6:30PM (drinks at 6PM) following the Seminar. This dinner will be held at the Jimmy's Charhouse restaurant in Elgin, IL which is 5 miles north of the campus along Randal Road. The dinner will be "dutch treat" (except for the Seminar speakers, of course!). It is great time to mingle with the other attendees and the Seminar speakers. All are welcome to join us but we have to limit the total number of attendees to 25. Please indicate on the bottom of the registration form if you will be joining us. See this web site for directions to this restaurant. The two (2) hotels listed below are the most convienent for Seminar participants as they are located closest to the Elgin Community College campus and major highways. These are convienently located just north of the intersection of US Route 90 (known as the Northwest or Jane Adams Tollway) and Randall Road. Local Restaurants - Jimmy's Char House is a lunch and dinner restaurant located within walking distance of this hotel. No breakfast is served. This is also the restraurant location for the optional dutch treat dinner Saturday night. There are several other restraurants for breakfast, lunch and dinner along the west side of Randal Rd a very short drive north from the hotel. Local Restaurants - There are several breakfast, lunch and dinner restaurants within walking distance of this hotel. The hotels listed below are located just north of the intersection of US Route 90 (known as the Northwest or Jane Adams Tollway) and IL State Route 31. They are approximately 5.5 miles from the Seminar venue though not quite as convenient as the above hotels. There are restaurants within walking distance of these hotels for breakfast, lunch and dinner. For more seminar information, or comments/questions, please contact the CLGC Secretary or call 224-848-2063.